Read this story about how a third grade teacher introduced the book to his students. "When I was six, [my friend] Victor moved to the United States with his family. The United States was so far away that I knew I would never see him again. Then Mamá went there too. I didn’t want her to leave, but she was worried that my grandmother would be left alone with only a little money. Mamá hoped she could make more money in the United States." The story is adapted from an oral history in Got Me a Story to Tell: A Multi-Ethnic Book: Five Children Tell About Their Lives, edited by Sylvia Yee and Kisa Kokin in 1977. 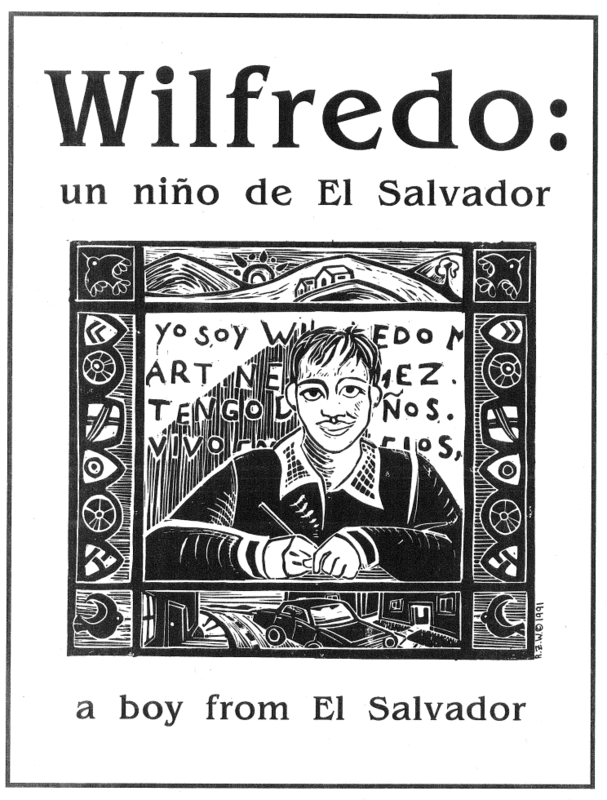 The original edition of Wilfredo was published by the Los Angeles Teachers’ Committee on Central America in 1986. The current edition was illustrated by Raquel Weber and published by Teaching for Change in 1991.